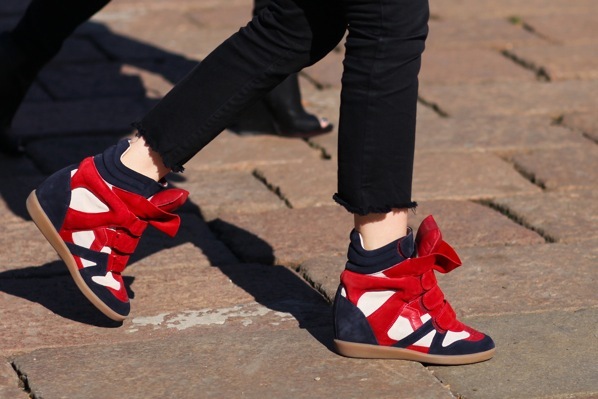 if you haven’t guessed by now, this post is about sneakers- more specifically, the 2012 holy grail of shoes: the wedge sneaker! of course by now everybody knows the designer that started it all, isabel marant. her willow sneakers come in many different colors, and have taken the fashion world by storm! honestly, when the trend started i really hated the look of these shoes. maybe it’s the velcro straps that make them look like orthopaedic children’s booties- i don’t know, it just didn’t convince me. i died and went to shoe heaven, because these are exactly what i was looking for! i don’t have to tell you how fast my fingers clicked on the “view item” button, right? 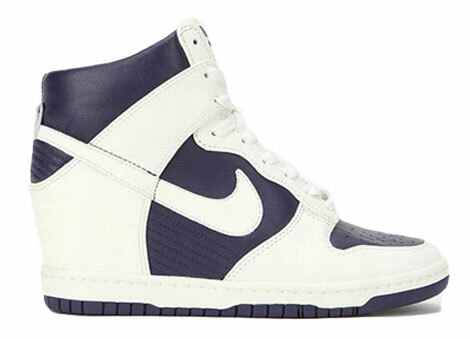 the dunk sky hi come in two colors (as far as austria or europe goes, i’ve seen some very colorful ones on google though), and just look so effortlessly casual, that they just might pass for regular nike kicks! i wasn’t convinced with the navy-white combo (so. much. white.) 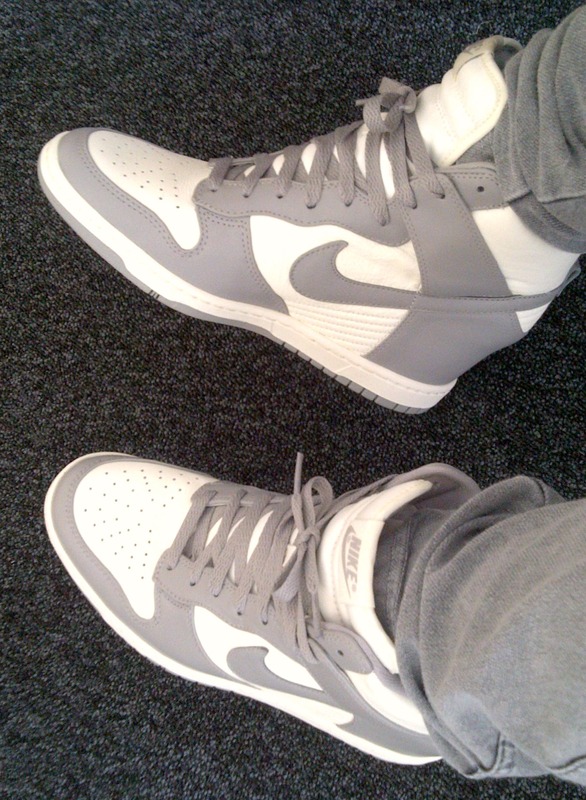 so i bought the gray-white ones. when they arrived, i was so happy that i wore them around the house, just for fun (no one has to know i was in my pj’s). i wore them to the office a couple of times, and took them with me to copenhagen as well, they are just really really comfy! here is a pic of my darling kicks- i will wear the hell out of these! finally a new nail post! i recently bought two wonderful minty shades, and i wanted to try both of them right away. instant gratification to the max! let me know what you think of the two shades! i thought that painting each hand in a different color, with the contrasting ring finger nail would look cool. and it did! the difference between the two shades is quite distinct, even in the consistency! the more covering pastel mint candy apple has a thicker texture, and i love the light pastel blue. turquoise & caicos is more liquid, i needed three coats to get complete coverage (mint candy apple needed only 2 coats), but it’s so worth the extra effort! the color is a fresh tiffany blue, and both shades are such fun summer colors! these two colors (aswell as corals and oranges) would look awesome with a silver or gold glitter top coat, don’t you think? have you tried these or similar shades? what colors do you like to wear most?